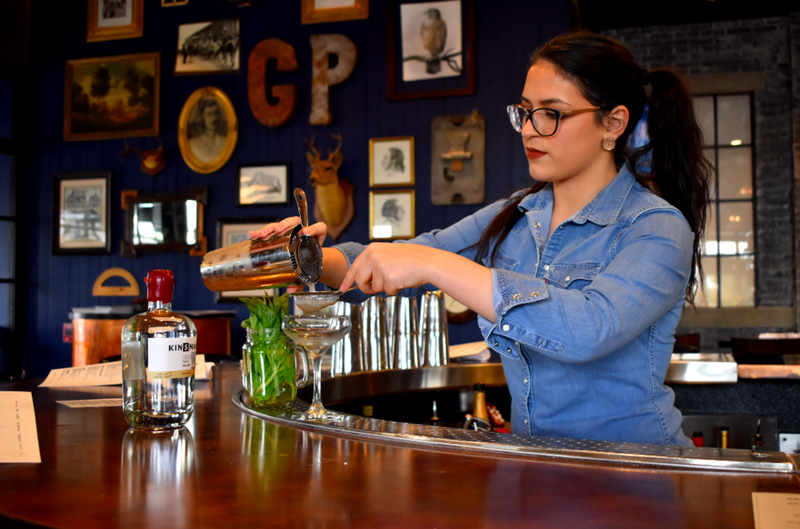 Signature rolled out a new cocktail menu this Autumn, we stopped by to speak with the bar creative, Isabella Morlet, about her newest Kinsman cocktail. Isabella is always creative when it comes to her cocktails and this time was no different. 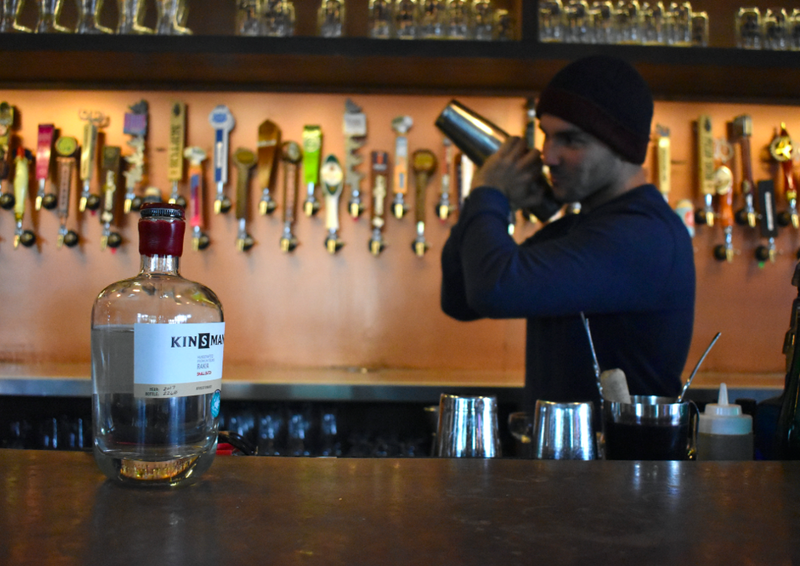 The Downtowner is a exceptionally delicious sherry and Kinsman cocktail that can be enjoyed by cocktail novices and master mixologists alike. She is no stranger to to the Serbian inspired apricot brandy as she featured it in three of her cocktails from the previous menu: Earnest Goes to the Southside, a local take on a classic Hemingway Daiquiri, and the Daydreamer, an apricot egg white sour, and a Brandy Alexander for dessert made with handmade cream that tops the cocktail nicely. Combine all ingredients in mixing glass with ice, stir and strain into chilled coupe. Rudy Souberbielle took over the reigns at Tribeca 212 earlier this year, adding more than 30 years of design and hospitality experience to the Olmos Park favorite. 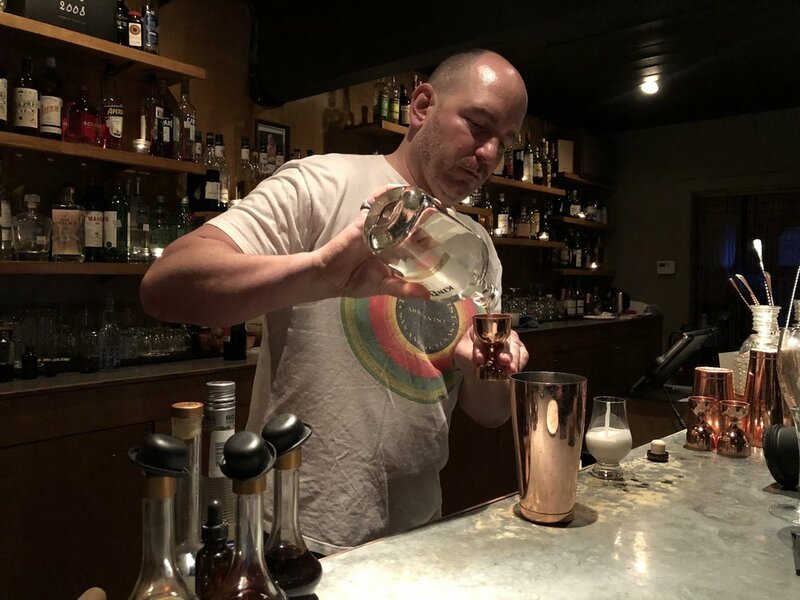 For Tribeca 212’s Brandy Alexander variation, Rudy tapped former co-worker and kombucha maker Bret Roberts to help highlight the apricot flavors in Kinsman Rakia. 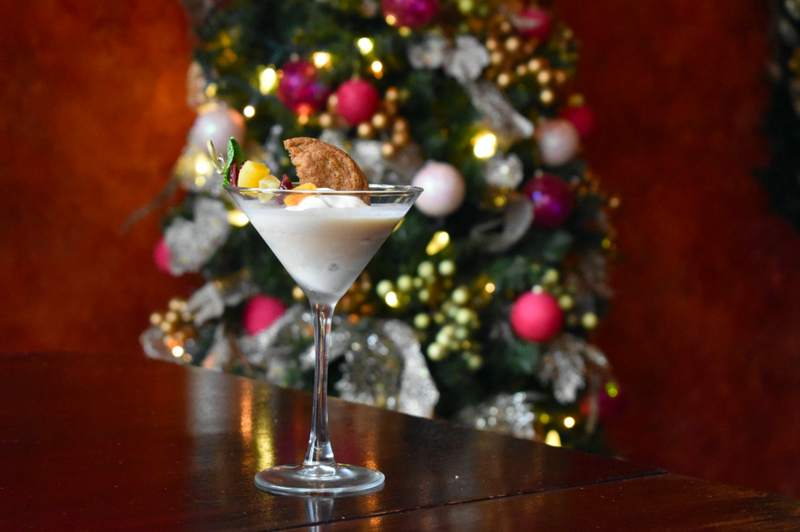 Roberts’ creation adds a new twist to the much maligned fruitcake by infusing vanilla ice cream with various fruits, and garnishing with dried apricots rehydrated using Kinsman Rakia. Combine ingredients in a shaking tin. Dry shake. Strain into martini glass. Garnish with dried cranberries, pineapple, rehydrated apricots using Kinsman Rakia and a mint leaf. Cocktail aficionados familiar with The Modernist will be up for a stellar rendition at this bespoke bar owned by Olaf Harmel and Gerry Shirley. Harmel plays off the terroir displayed by the apricots shipped in for Kinsman Rakia from Grocka near Belgrade, adds slight notes of bitterness from the Cynar and finishes with a satiny cocktail that’s less sweet than most on the tour. Combine all ingredients in a shaking tin. Dry shake. Strain into coupe or stemmed glassware. 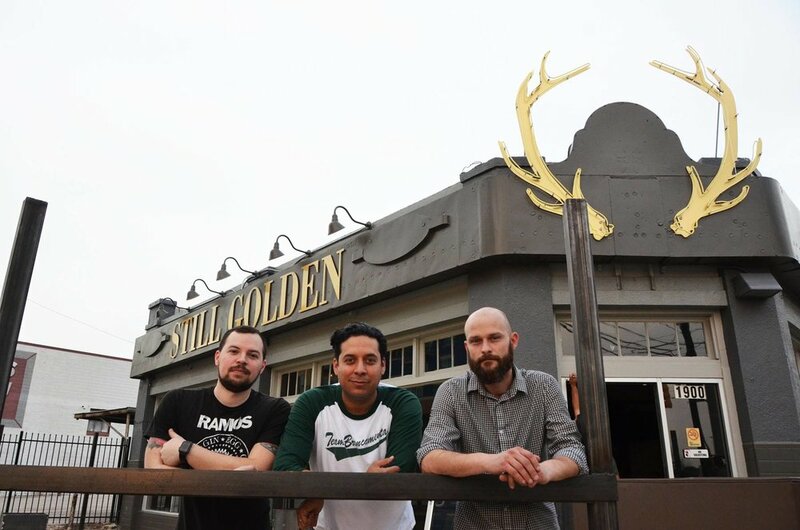 The Brandy Alexander tour makes it first stop ever at Still Golden Social House where bar manager Stephan Mendez adds an unexpected ingredient to the mix. A half ounce of Tapatio tequila añejo counters the sweetness of the apricot for a result that’ll be a hit with horchata fans. Combine all ingredients in a shaking tin. Shake vigorously and strain into chilled coupe. Finish with a light dusting of fresh nutmeg. 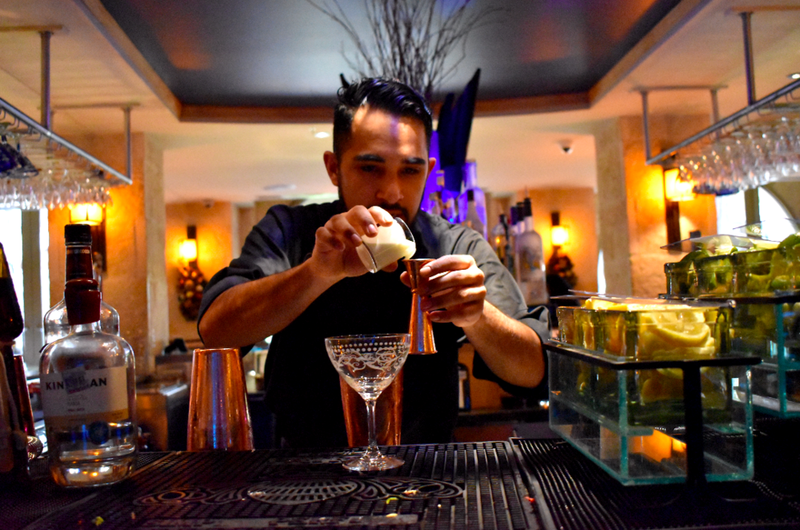 There’s two very different chances to try a Brandy Alexander at Piatti. 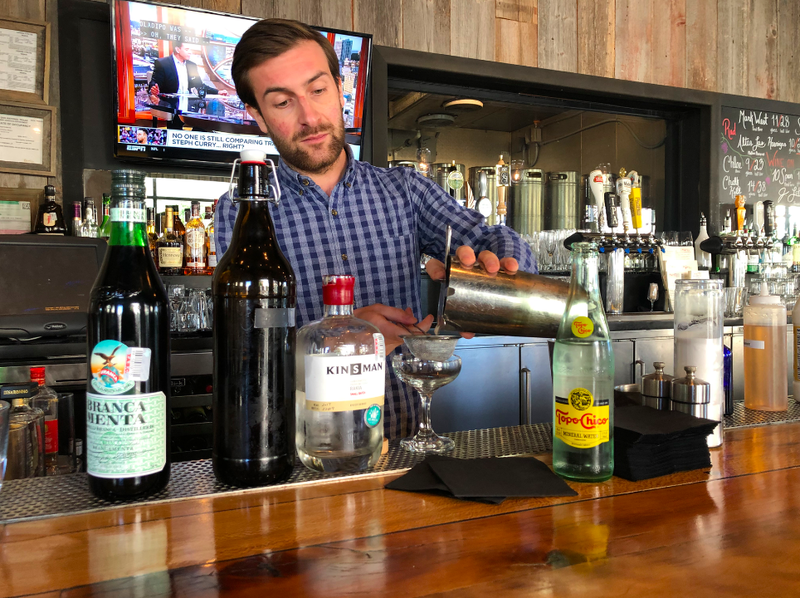 Beverage Supervisor Matt Collett created a pair of wintry cocktails with unique twists. 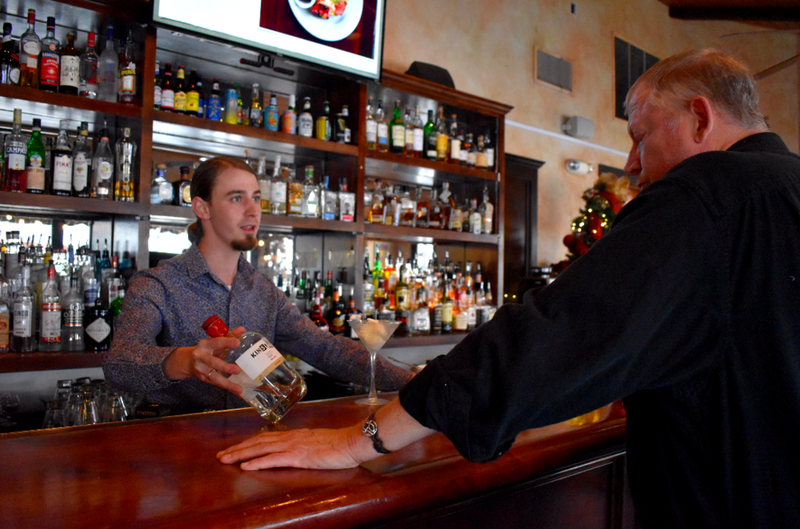 Visit the Quarry for a Wonderland, that uses a Nocino liqueur to add a depth of flavor; or visit Eilan for The Santa Clause, which pairs Kinsman with a holiday simple syrup of nutmeg, sage, orange peel, clove and star anise) in a Collins glass for a refreshing holiday cocktail. Combine ingredients in a shaking tin. Add ice. Shake. Strain into coupe. Garnish with cinnamon. Combine Kinsman, Branca Menta, simple and heavy cream in a shaking tin. Add ice. Shake vigorously. Top with Topo Chico. Picture it: You’re strolling along the San Antonio Riverwalk, taking in the sights and sounds, wishing for a boozy beverage to warm your bones. 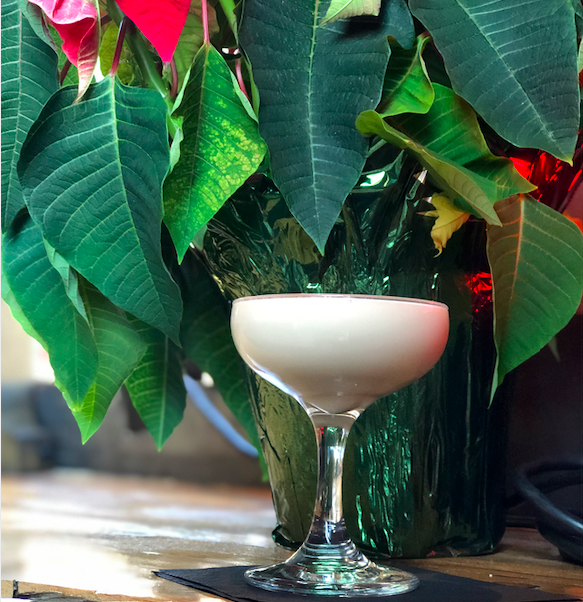 That wish can become a reality with a visit to Hotel Havana where Food & Beverage Director Sean Goodale is putting a cozy spin on the Brandy Alexander at Ocho. 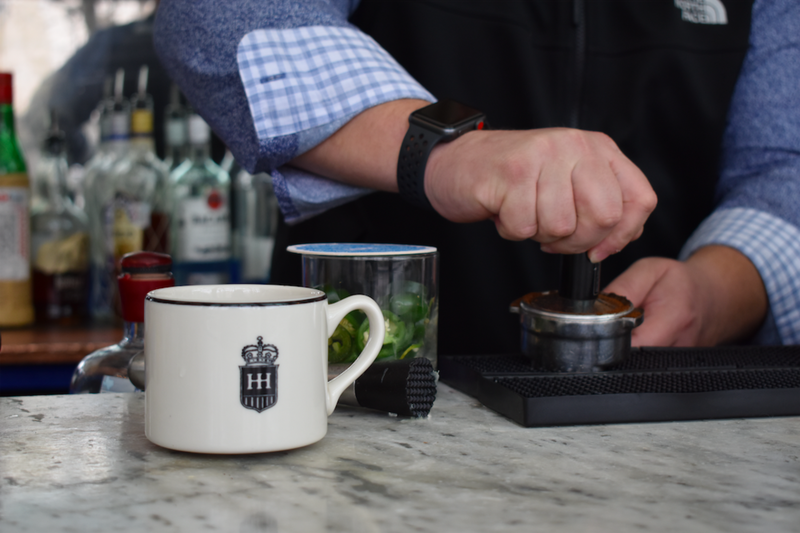 For his rendition, Goodale adds a shot of espresso and a blend of cinnamon-infused simple syrup to create an inviting tipple that will help you keep the night going, or serve as the perfect digestif after a delectable dinner at Ocho. Combine Kinsman, Frangelico and Simple Syrup in a tin and shake. Pour into mug and top with hot espresso, steamed milk and finish with a pinch of nutmeg. 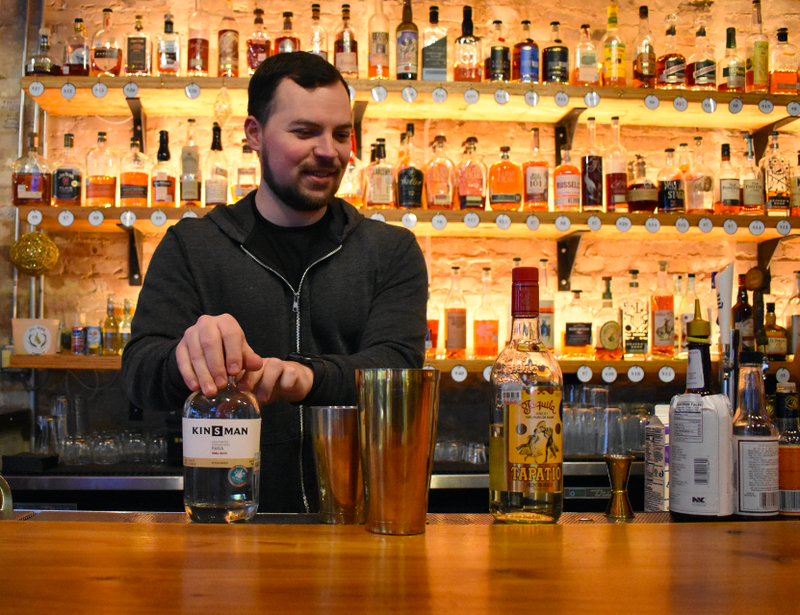 As the opening barman at Dorćol Distilling + Brewing Co, Nick Kenna is intimately familiar with the distilled apricot flavors of Kinsman and his variation — complete with charred cinnamon stick — packs a punch. Kenna might not be a fan of creamy cocktails, but his tongue-in-cheek approach adds a thick layer of frothy heavy cream that delivers a velvety mouthfeel and plenty of flavor. Stir Kinsman Rakia, Crème de Cacao, and Punt E Mes together and pour over a large rock. In a shaking tin, combine heavy cream and brown sugar cinnamon syrup and dry shake until frothy. Top with a light dusting of cinnamon and burnt cinnamon stick on side of glass. 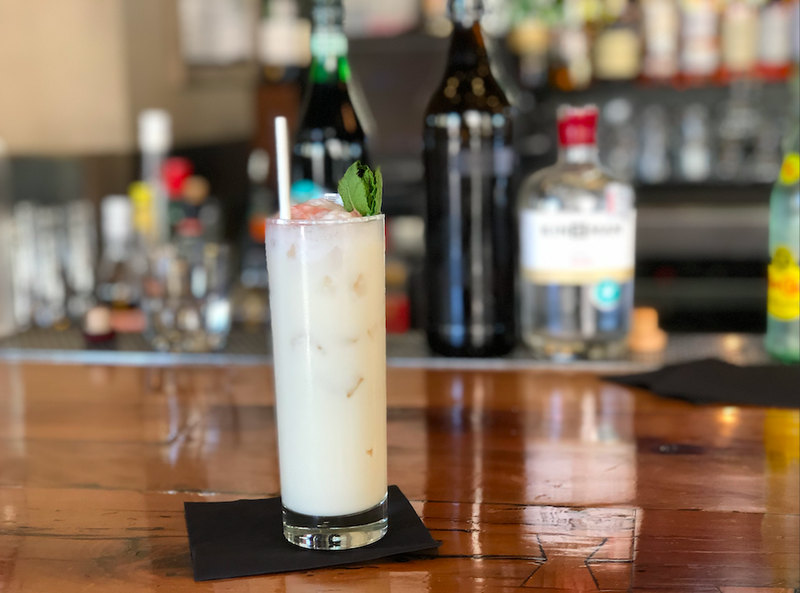 Tourists and locals alike will want to get a taste for El Colegio’s creamy, dreamy Neapolitan Alexander. 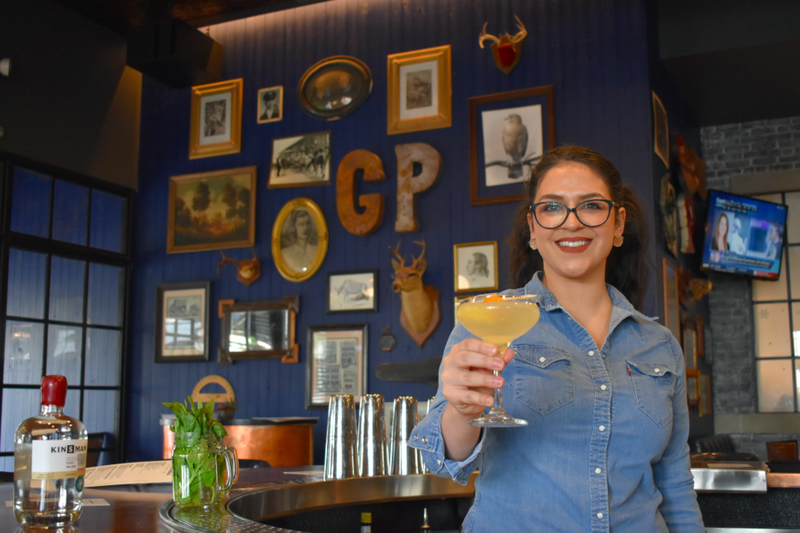 Created by mixologist Diana, the variation is an ode to Christmas past when she would sneak into her grandparent’s freezer and eat scoops of Neapolitan ice cream while no one was watching. Pour Kinsman Rakia and White Crème de Cacao over chocolate, vanilla, strawberry ice cream. Shake. Rim martini glass with sprinkles of choice and pour neatly. 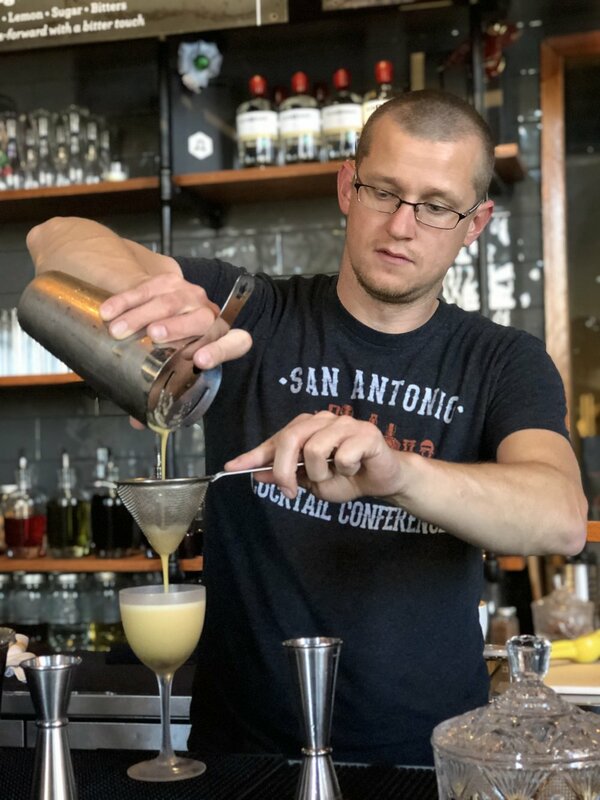 After five years of setting the tone for cocktail standards in the San Antonio area, The Brooklynite is months away from relocating to a new home. But until then, there’s still time to enjoy expertly made cocktails at 516 Brooklyn Ave.
Bartender Rachel Rainwater leaned into the chocolatey nature of the Brandy Alexander while catering to the dairy-averse. 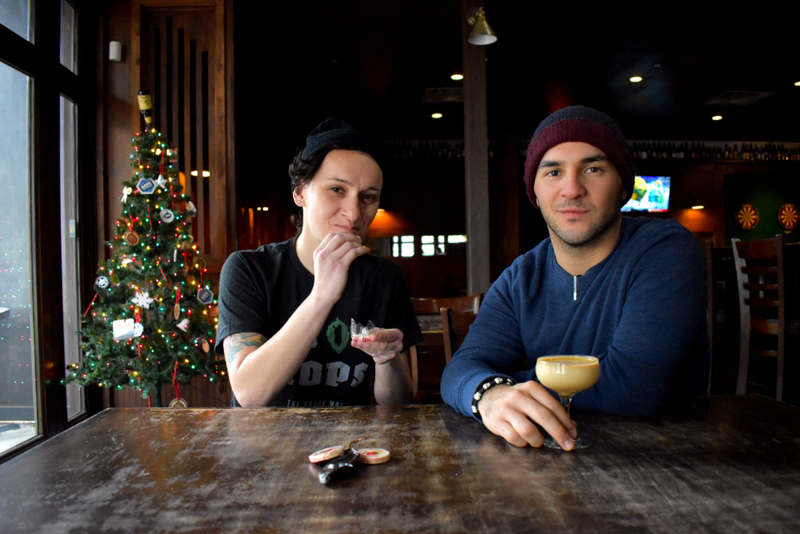 Using a vegan chocolate Ripple pea milk, the Brandy Frapp alludes to Terry’s milk chocolate orange balls, or at the very least an orange mocha frappuccino you can enjoy with friends. Combine with ice in shaking tin. Shake. Strain into a rocks glass. Top with crushed ice and dark chocolate shavings.